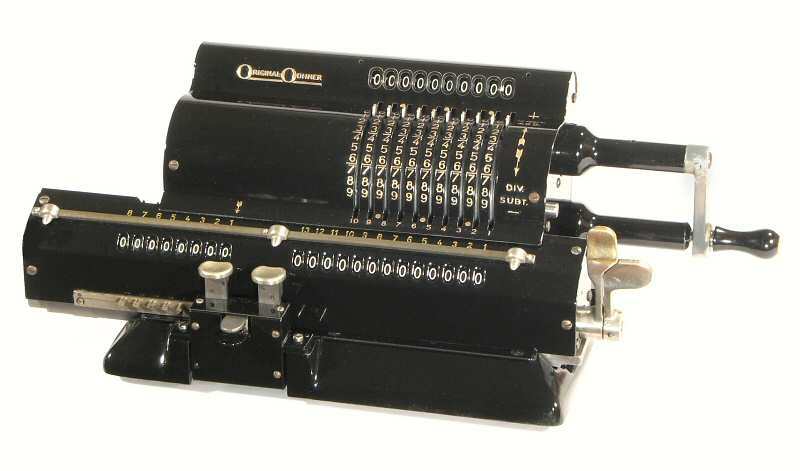 Model 23 is similar to the Model 22, but with the addition of tens-carry and automatic reversing mechanisms on the counter. If the first turn of the winding handle is negative (as in division), the mechanism will reverse the counter so that it shows positive values rather than complements. The mechanism is reset when the counter is cleared. The body of the machine is extended by 25mm on the left-hand side to accommodate the reversing mechanism.